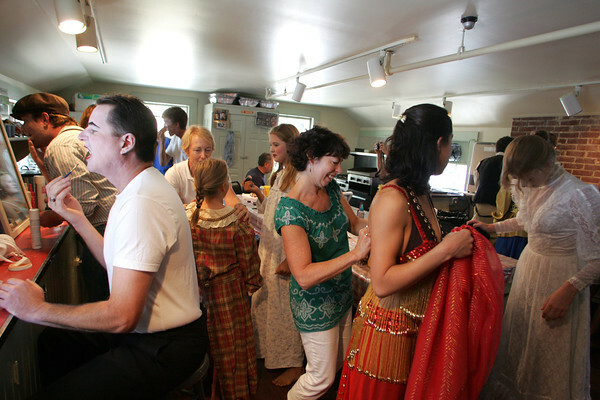 It's make-up frenzy as committee members assist cast members with make up and costumes as the day's first show approaches. The mission: look like you're made of wax. One of the highlights of the Annisquam Village Sea Fair is the WaxWorks. Photo by Mary Muckenhoupt.